WELCOME TO MARWEN, population Precious Roy! 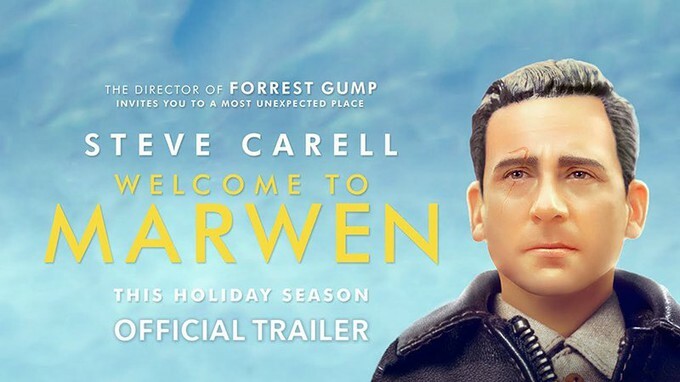 Hey folks... every now and then, we get to introduce something we're really in love with in the news feeds, and this time, I get the honors... here's the trailer for WELCOME TO MARWEN, written by Caroline Thompson (Edward Scissorhands) and Robert Zemeckis (BACK TO THE FUTURE), who also directed it. In the film, Mark Hogancamp (Steve Carrell) is an artist who is viciously beaten by a gang of neo-Nazis. Unable to draw anymore, he turns to photography, using G.I. Joe 1:6 scale figures and Barbie dolls to tell stories, and fashioning dolls after himself and his supporters-- the various women in his life (Janelle Monáe, Diane Kruger, Eiza González, Gwendolyn Christie, Merrit Wever) who have helped him recover from his injuries and face the trial of his attackers. As a new neighbor (Leslie Mann) moves into his life, Mark works within his action-figure fantasy world to face his pain and live again. I love the way Mark drifts between real life and the fantasy his dolls help buffer him with... and the cast is superb. I cannot wait to see this film. I don't think I've wanted to see a film this much since THE FISHER KING. 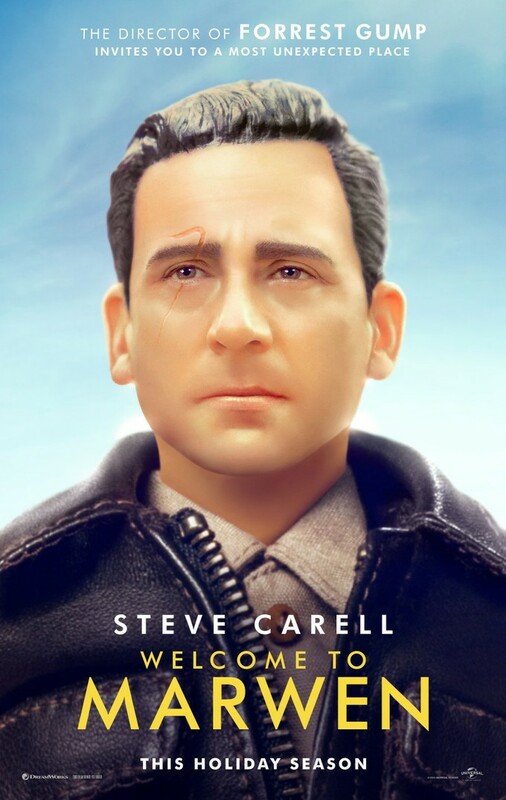 WELCOME TO MARWEN opens November 21st.